The Bhagavad Gita is an epitome of all scriptural knowledge and the very storehouse of all scriptural teachings necessary to master the art and science of successful living. Sri Sudarsan Chakravarthy has been inspiring and enthralling audiences of all age groups across several parts of the world with his captivating discourses on the Bhagavad Gita. 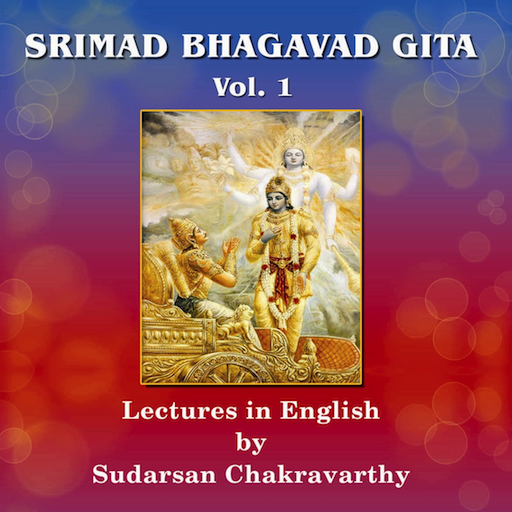 This compilation of his lectures in English, inspired by the Gita Bhashya of Swami Ramanuja and the Gitaartha Sangraha of Swami Alavandar, is a "first-of-its-kind" and covers the first twelve chapters of the Gita. An alumnus of the Indian Institute of Management, Bangalore (IIM B) with over 19 years of leadership experience in the IT industry spanning across India, ME, Europe and North America, Sri Sudarsan Chakravarthy is a motivational speaker with keen interests in ancient wisdom, spirituality, contemporary science, psychology, philosophy, music and drama. His life's mission is to promote the messages of our Scriptures, thereby instilling nobility and greatness across various strata of our society. in India and get the digital album free!